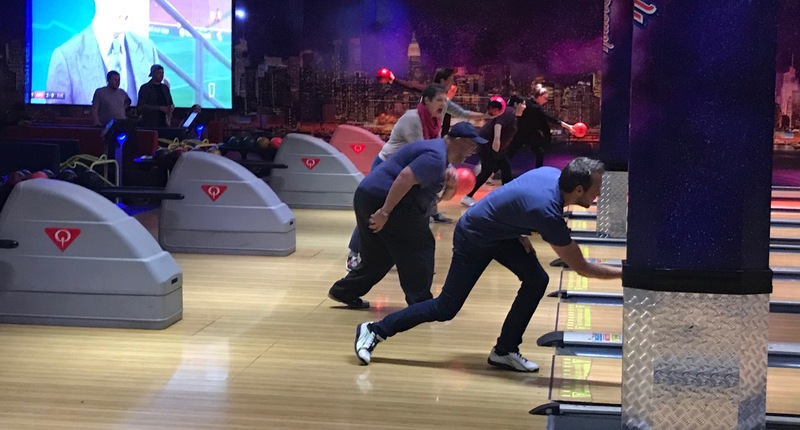 Tenpin bowlers rolled plenty of strikes and spares to support a special Newham charity at Rollerbowl at the City Pavilion in Collier Row, Romford, on Sunday night. 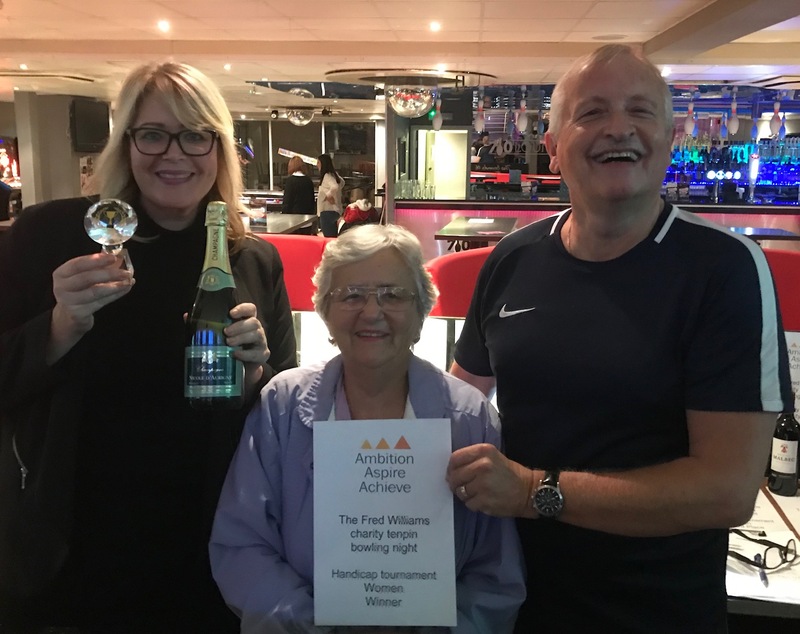 Members of the Sunday Trios League and their friends and families, started their new season with their annual fundraising event for the Canning Town-based Ambition, Aspire, Achieve, (AAA) and raised more than £450 on the night. From this year, this tournament is being named after bowler Fred Williams, who sadly passed away last season. 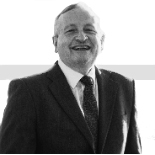 The league has raised over £10,500 in its 25 years for charities. 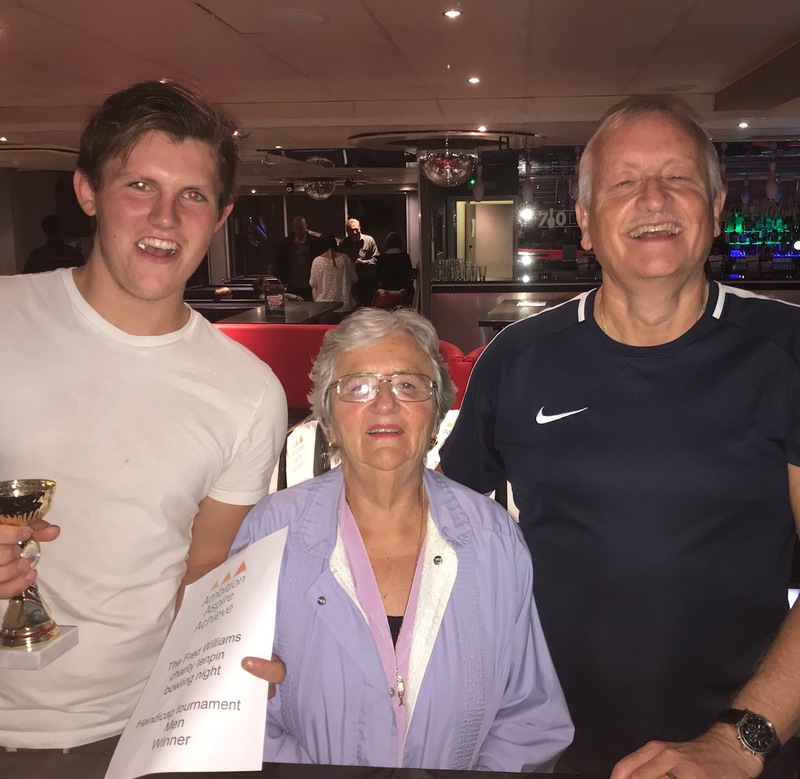 Neil, Nicky, James and Lisa with Pat Williams, wife of Fred, who presented the prizes to all 12 winners, and event organiser and league secretary Colin Grainger. 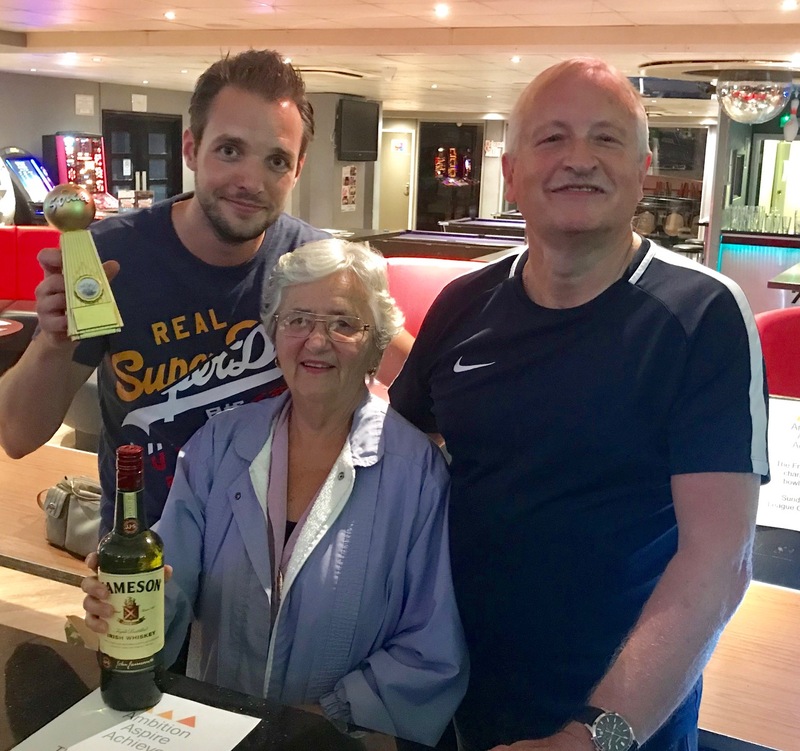 The male scratch tournament was won by Neil Emmons, with Paul Mitchell runner-up and Colin Grainger third. The female scratch tournament was won by Lisa Sherer, with Kirsty Mitchell runner-up and Leone Murtagh third. The male handicap competition was won by James Graham-Kitson, with Gary Wright runner-up and Joe Caine third. And the female handicap competition was won by Nicky Sherer with Lesley Grainger second and Megan Vanderson third. The event supported the charity and its work with disabled and disadvantaged young people through a scratch and handicap tournament of league bowlers and their families and friends. 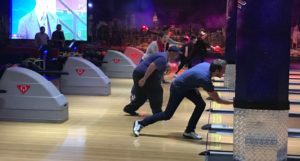 Featured picture All 12 prize-winning bowlers at the end of the event with the others bowlers who helped raise vital funds for the charity. 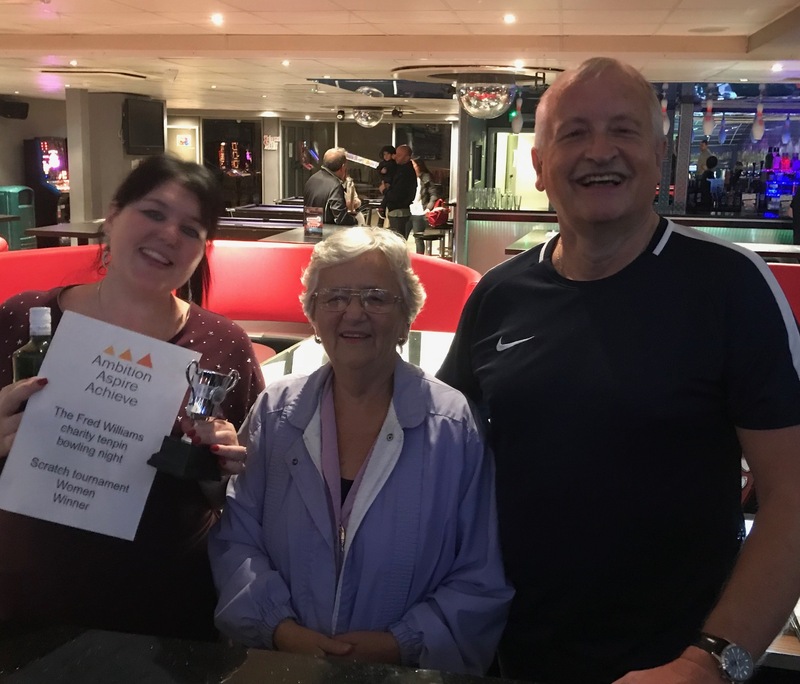 This article was written on 24 Sep 2018, and is filed under Ambition Aspire Achieve, City Pavilion, Kevin Jenkins, Sunday Trios League, ten-pin bowling.